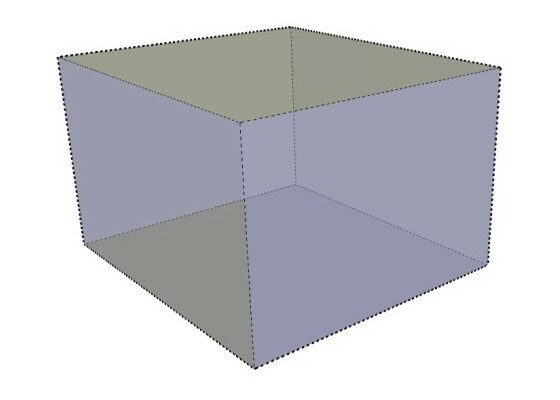 description Converts regular lines to dashed lines. Choose from several patterns. DashedLines converts regular lines into dashed lines. All faces are preserved. This script requires ProgressBar (free) to operate and works with SketchUp V5 and above. 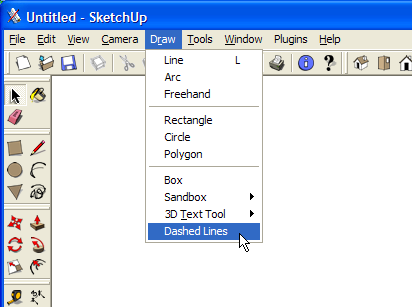 To run the script, select all the lines you wish to convert and select Dashed Lines from the Draw Menu. When you enter a length, you can use Imperial or Metric. Do not put a space between the value and the unit. For example, 60mm is valid, while 60 mm is invalid. All lines are created with a single UNDO operation. Practice some with the script if this instruction is not clear. When unzipping, place both the files, dashedlines.rb and DashedLinesEN.string in your /Plugins folder as named. Note: When choosing a length for your dash pattern on an arc or a straight line segment, take into consideration the length of each segment or the line. If the dash pattern is longer than the line length or an arc's segment length, the dash pattern will not show up. July 23, 2006: V1.4 - Swapped dialog box order; Added support to remember last used settings; Restructure for Strings support; produced DashedLinesEN.strings file for English. Converted to a .zip package. August 01, 2007: V1.5 - Fix a bug that allowed an invalid length to be entered. Subsequent uses of DashedLines did not work. July 22, 2008: V1.6 - New pattern that supports US Patent and Trademark Office drawing requirements.